People call to learn about the cost to rework the finish on their tables. Some have gone to our Price Guide, but are not sure about how their tables fit in. 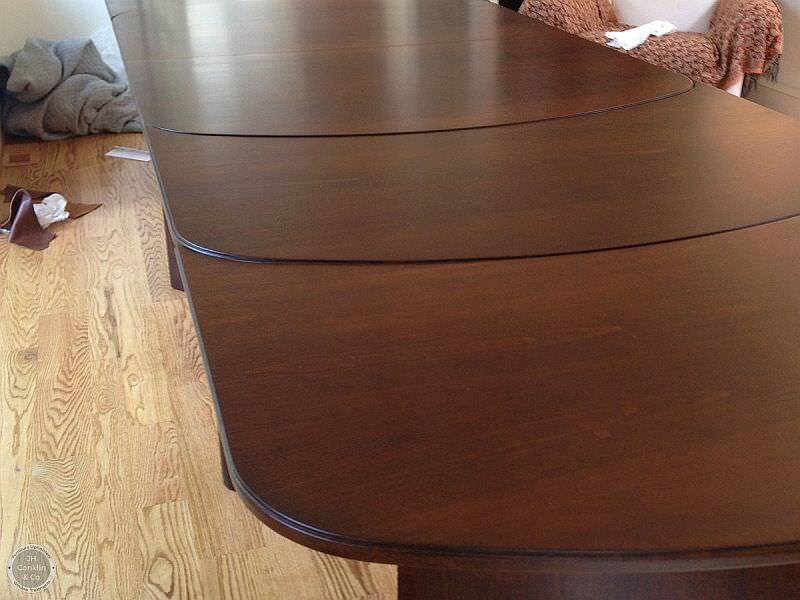 Some example projects with pictures may help you get more informed about refinishing your dining table. 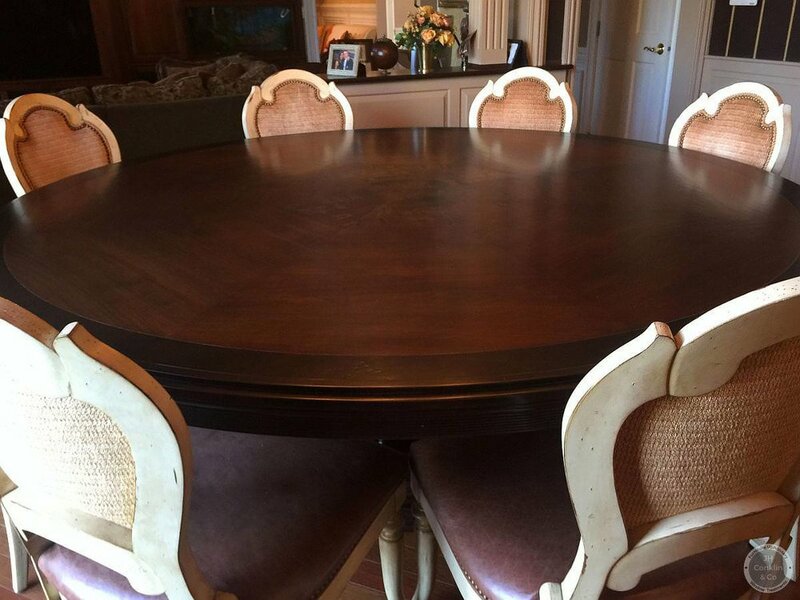 Bottom line: average refinishing cost of $990 for medium / large dining tables. Here are four tables we re-worked for folks in the NJ area. French provincial extension table in Mullica Hill. Large sized at 45 x 80. Refinishing price: $ 980. The size of your table does effect the refinishing cost. Other details such as carving, base and leg design, and the desired end finish also play a role in the final prices. These example projects and our Price Guide can help you plan your furniture project. This Italian-made round table is 7 feet in diameter. 84 inches. The border stain is darker than the center, which has an inlaid pattern. Moving and handling this table was a considerable part of the project. The original finish was soft and hazy. The cost to refinish was $1680. The original finish on this 84" x 42" oak table had worn through on the edges and developed some large water spots. More than an inch thick, it is heavy! The white oak grain has a pleasing pattern that held an accent stain nicely. The cost to refinish (with two extension leaves) was $1080.